Limelight Games Giant Tumbling Tower Blocks are for every family or group of friends looking for a great time. Here's a huge problem you face right now. It's having to stop playing when the sun goes down. But that's not the end of your problems. . . Chase away the boredom with hours of tense and captivating stacking, jumbling, and toppling fun. Remember...without a glowing game, the fun is always cut short at night! Which means your party dies when the sun goes down. All this can make trying to entertain your large group a nightmare! but luckily for you, there's now a solution! so, if you're hosting a tailgate party and really need to keep them entertained without breaking a sweat, "Limelight Games Giant Tumbling Tower Blocks" is the answer you've been looking for! 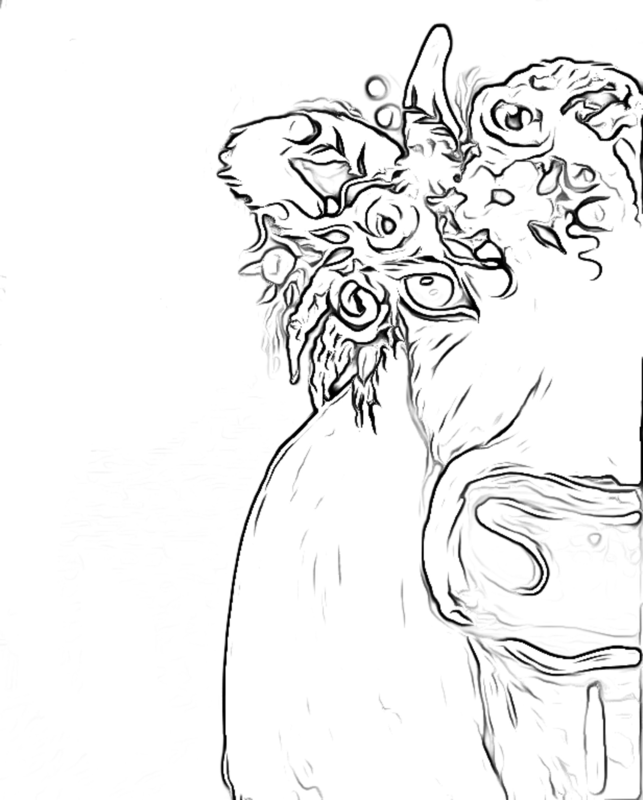 Why wait another day to play this exciting game in the dark and keep your party going! * BREAKTHROUGH! 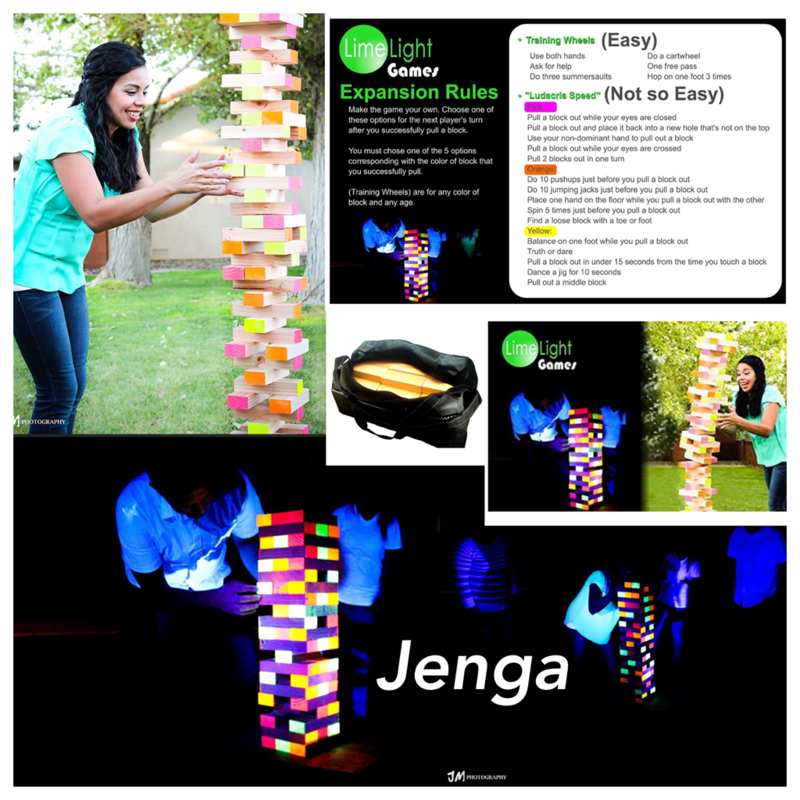 Extra Big Glowing Blocks let you play well into the night when the sun goes down just like the best parties do - *Black Light INCLUDED* Can be played Indoor & Outside! * EXCEPTIONAL! Jumbo Size Heavy Duty Premium Quality Duffel Storage and Carry Bag lets you clean up easily transport and store the game for years to come! * FUN FOR ALL AGES! Oversized Wood Pieces - Stacks Higher Than 4.5 Feet Tall - Perfect For Adults, Teens, Kids, Larger Groups, BBQ's, Birthday Parties, Camping Bonfires, Summer Nights at the Beach, Outdoor Park Or Backyard Lawn Yard Games, Sports Tailgating & More! 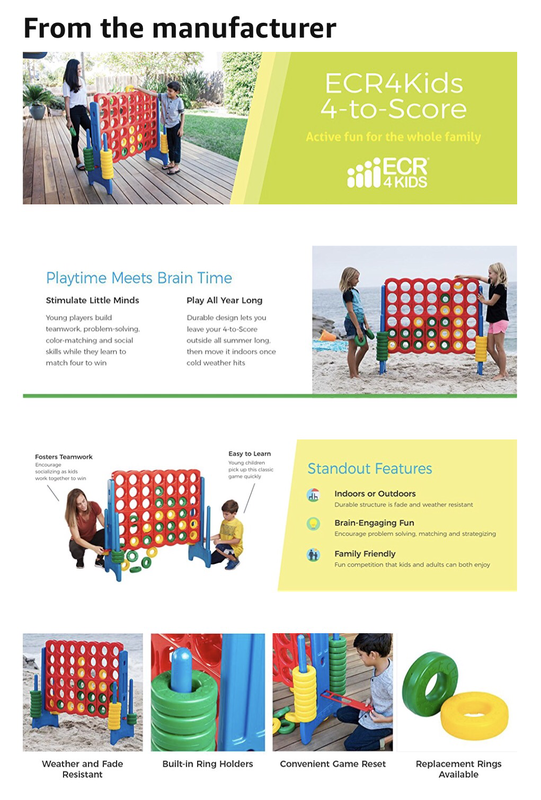 Our Indoor Outdoor EasyGo Giant Checkers Game is a must have for family game night or to take to picnics, birthday parties, kids’ church activities, classrooms or BBQ’s! The checkers large board game just increases the fun whether you are watching or playing! 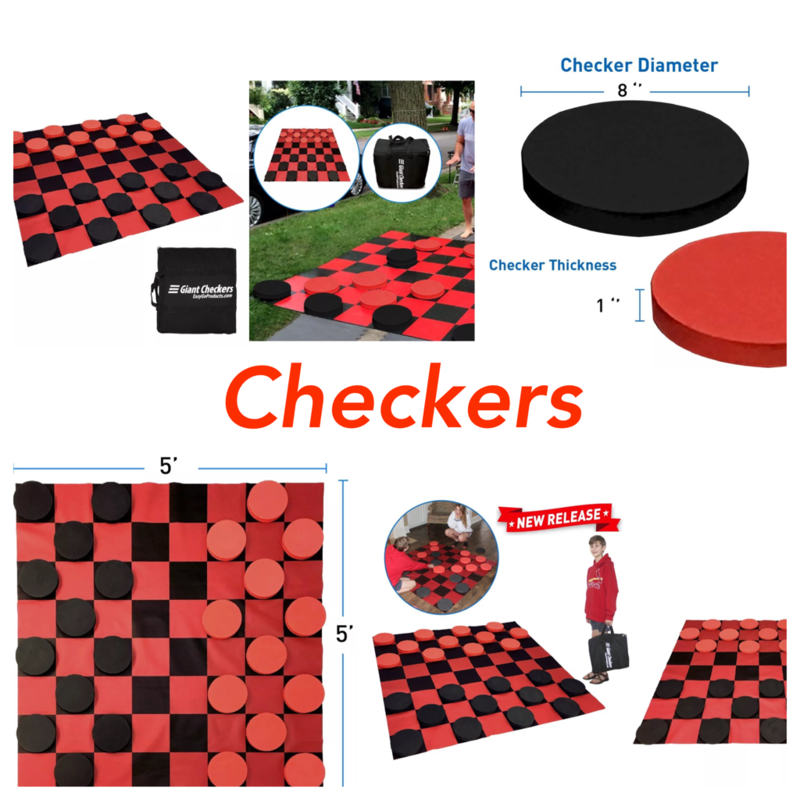 Made of durable material with a mat made of tear resistant and rip resistant plastic, this oversized checkers set will last a long time and can be used as a floor game inside or as a lawn game outside. Whether you have traditional checkers red and black pieces or the popular black and white game pieces, the giant checkers classic games are fun, eye-catching conversation pieces! Lightweight and easy to transport, checkers on the go is ready for your next party or get-together no matter where it is! This folding board game will be the highlight of your party for kids and adults alike! FUN, EYE-CATCHING CONVERSATION PIECE – Our checkers large folding board game is a classic!! Everyone loves a good game of checkers and multiple the fun by the size of the game set! Fun to play, fun to watch!!! CHECKERS ON THE GO – Take this folding oversized checkers game with you to BBQ’s, parties, church activities, classrooms, picnics, or use it at home as a fun family game! Our deluxe checkers board game is lightweight and easy to take with you and to set up as a floor game or outside as a lawn game. Just fold it up for easy transport. DURABLE & LONG LASTING – The 5' x 5’ mat is made of a tear resistant, rip resistant plastic material that makes it durable enough for kids and adults alike. The checkers pieces are a large 8” wide and “ tall. 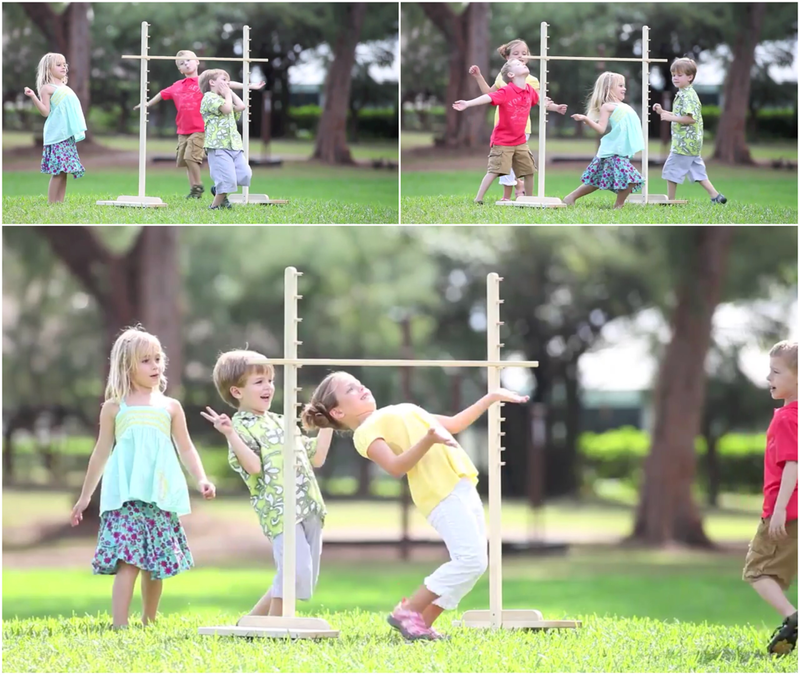 See how low guests can go at your next summer party with our Limbo Game. Can serve as a party decoration in addition to serving as an exciting party game. Use it to make your pool party or Hawaiian luau all the more memorable. Great for Bar Pub, Kids parties, Adults Parties, Sports Day, Family Picnic, Birthday much more! Get the family and friends together! 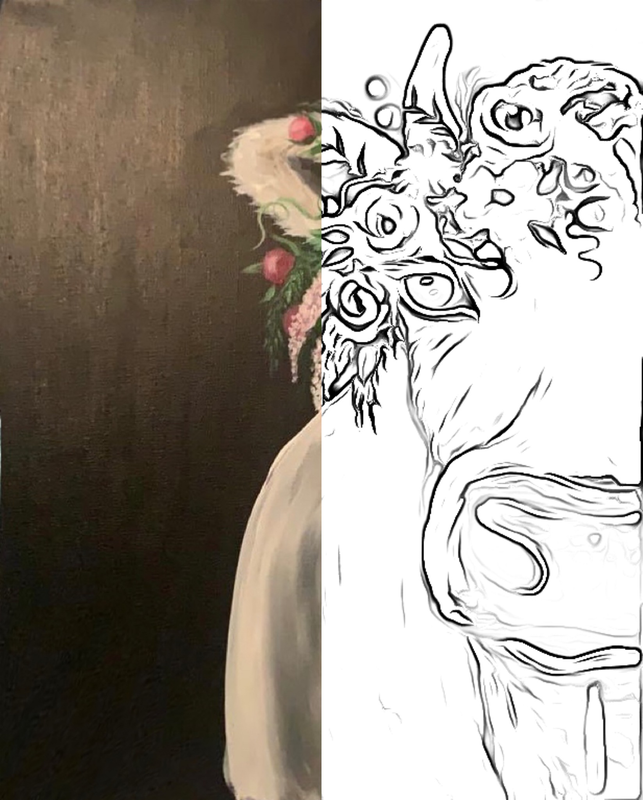 ​Non-traditional, non-competitive but all active! Like a giant Twister game, throw the two giant inflatable dice to find out which part of your body you have to place on which color flower! Lose your balance and fall over sends you out of the game! Ideal for teaching colors, left and right, listening skills and coordination. For up to 15 players. Includes giant 10' x 10' vinyl playing mat, 8 anchor pegs and 2 oversized inflatable dice.